Road weather information is the key to successful decision making. The RWS200 is intelligently designed, with sophisticated algorithms and smart power management, because reliability is what matters. Deploy only what you need to do the job, all without sacrificing accuracy. 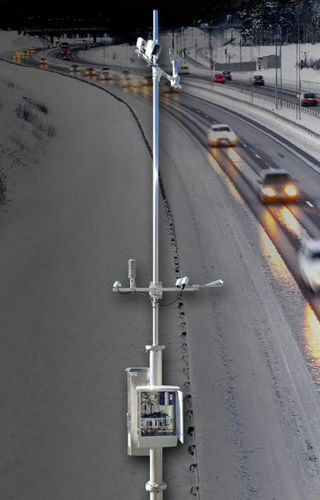 RWS200´s compatibility with various sensors makes it a complete road weather information solution. 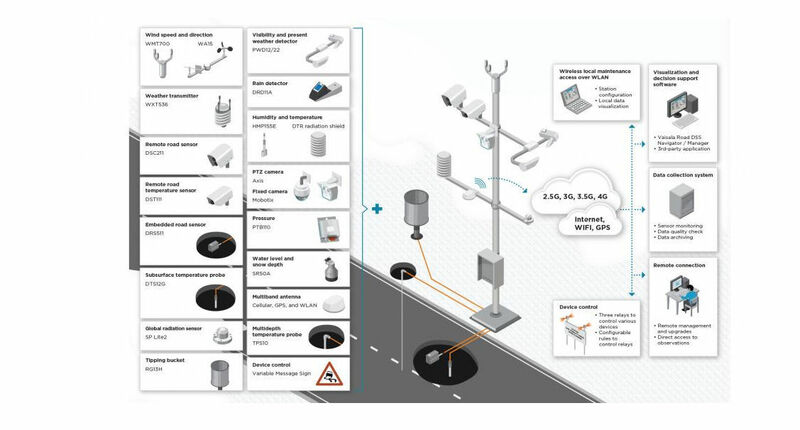 Vaisala sensors, mainly atmospheric, are sold around the world for many different applications. They are sold with Vaisala weather stations and without; however, when used as part of the RWS200, each sensor gains both accuracy and serviceability through communication between the station and the sensors, and even using data from other Vaisala sensors to validate the measurements.